GASPE, Canada. 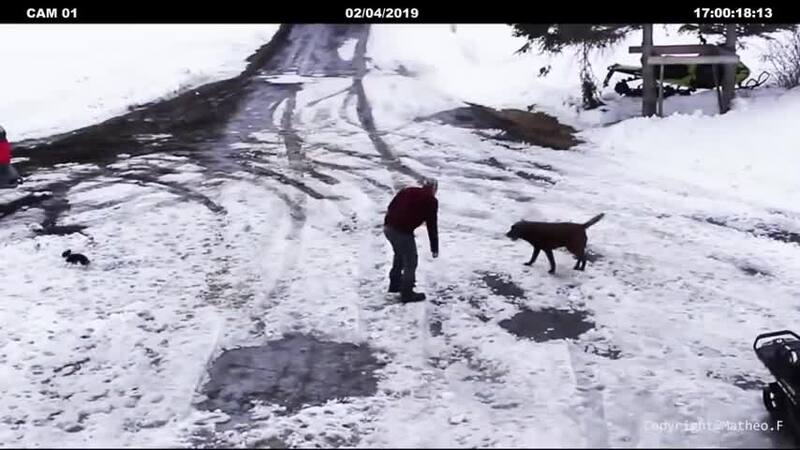 A little Canadian Chihuahua was about to become roadkill when another canine intervened. 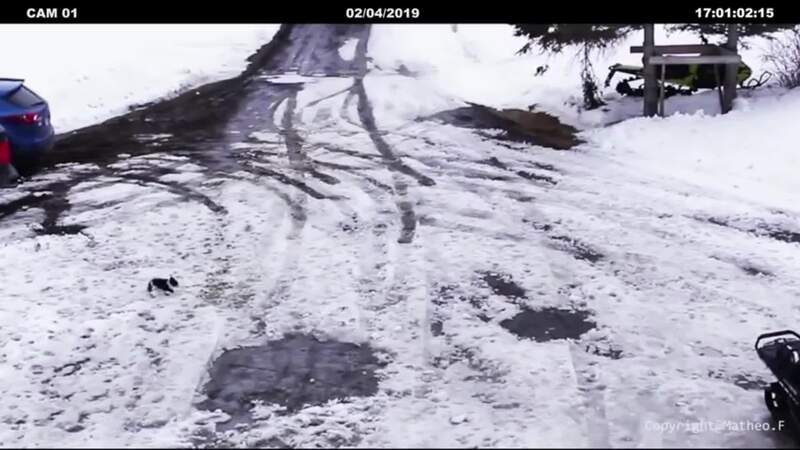 The video shows the little hound making its way across a snowy street when a blue SUV starts to back up. wow. that was impressive. they have more soul and compassion than a lot of humans. hope you don't mind,...I messed with the video to reflect his super exploits. WOw! What a smart dog! He deserves fun toys and delicious chewables until his teeth fall out! Oh yeah, and a big medal too!